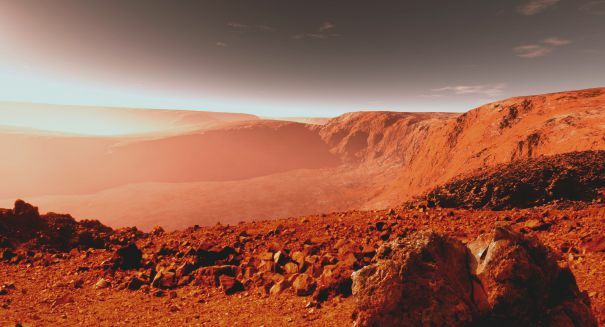 Study looks at dust storms on Mars as prelude to future missions. For years, scientists have been trying to figure out how to track dust storms on the planet Mars, and they now think they have a new analysis that can give then the information they have been struggling to find, according to an article on csmonitor.com. NASA made an announcement this week that they have found a way to monitor the severity and scope of the storms by observing the atmospheric temperatures above the Red Planet, and that is giving them a better picture of what is going on, rather than trying to monitor the actual dust in the storms. “When we look at the temperature structure instead of the visible dust, we finally see some regularity in the large dust storms,” offered David Kass, an instrument scientist for the Mars Reconnaissance Orbiter (MRO) at NASA’s Jet Propulsion Laboratory. The study relied on information gathered by the instruments on the MRO, which has been in orbit around the planet since 2006, and from the Mars Global Surveyor that circled Mars from 1997 through 2006, but is now lost. The researchers named the storms as Type A, B and C, depending on what time of the Martian year they formed and which direction the moved across the planet. The team found interesting factors influencing the wind speeds and intensity of the storms, with variances of as much as 63 degrees F. between dusty storms and relatively clean air storms occurring on the surface. This information will be important to future Mars missions, with instruments or possible human visitors, because the missions will likely rely on solar power to keep the instrumentation and life support systems running. Intense dust storms could block the sunlight from reaching the solar panels. Researchers also say they aren’t all that concerned about the wind speed of the storms on Mars, and scenarios such as ones portrayed in movies with devastating winds, are unlikely. Mars’ atmospheric pressure is a lot less than Earth’s, explained William Farrell, physicist at Goddard Space Flight Center, in a press release. He adds things will get blown, but not with the same intensity as what you would see on Earth.